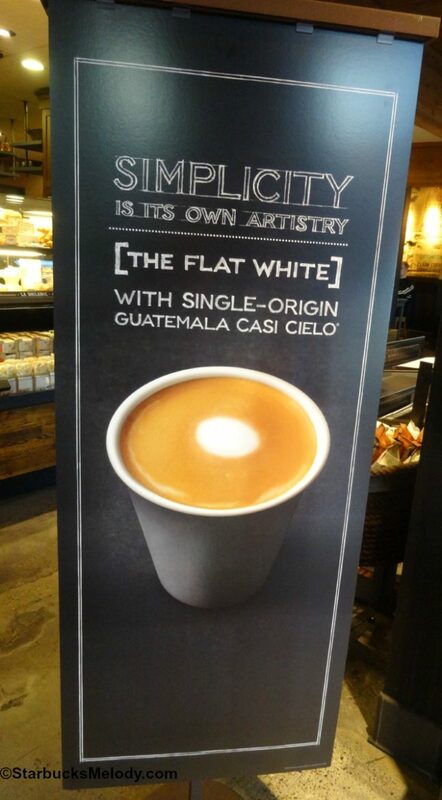 On January 6, 2015, Starbucks launched a new espresso beverage called the Flat White. I’ve had a few people ask me if I would spotlight it in an article so that they could comment on it. It’s a beverage that was already well known and popular in the UK, Australia, and New Zealand. You can get your Flat White with Casi Cielo as the espresso shots! I know that I’m a fan of a short vanilla Flat White! I do wonder how much customers will customize it. Starbucks is legendary for giving customers to customize their drink, making it their perfect beverage. I noticed that the Starbucks online menu gives nutrition information for the Flat White in all sizes, though I tend to think the short and tall sizes would be the most authentic for this new drink. Feel free to weigh in. Have you ordered a Flat White? This is your chance to say what you like about the Flat White! 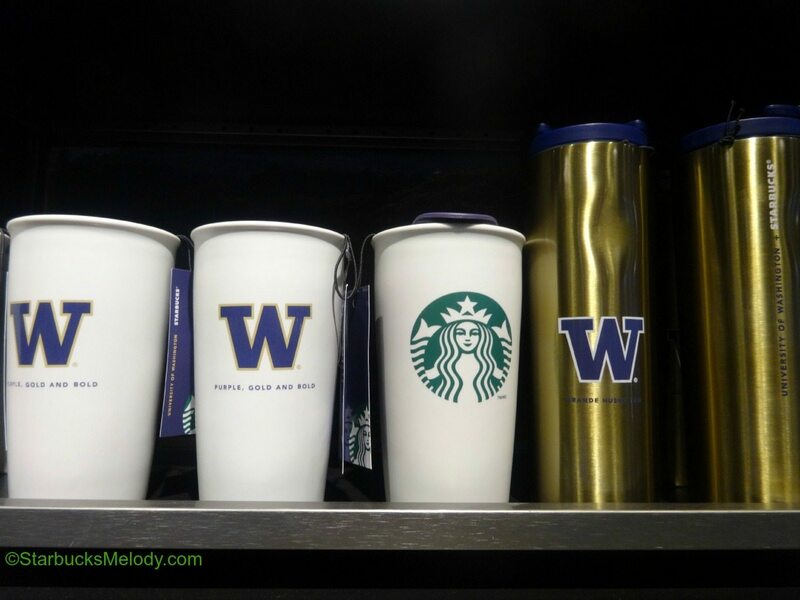 About a week ago, select Seattle Starbucks stores began selling a UW Husky Tumbler! I have to say I like this tumbler! I dropped by the Starbucks at First and Pike and saw it on their merchandise wall. 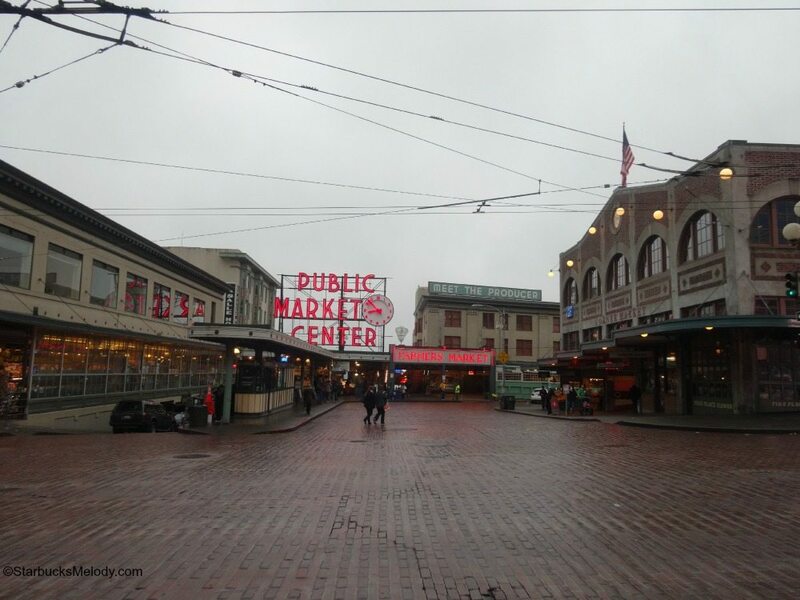 First off, take a look at how gorgeous the Market is on a Sunday morning and how photogenic First and Pike is! 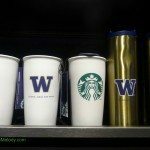 So if you are in Seattle, be on the lookout for the Husky tumbler – there is a white ceramic tumbler, and a tall gold metal tumbler. You can also find the new tumbler online at StarbucksStore.com. 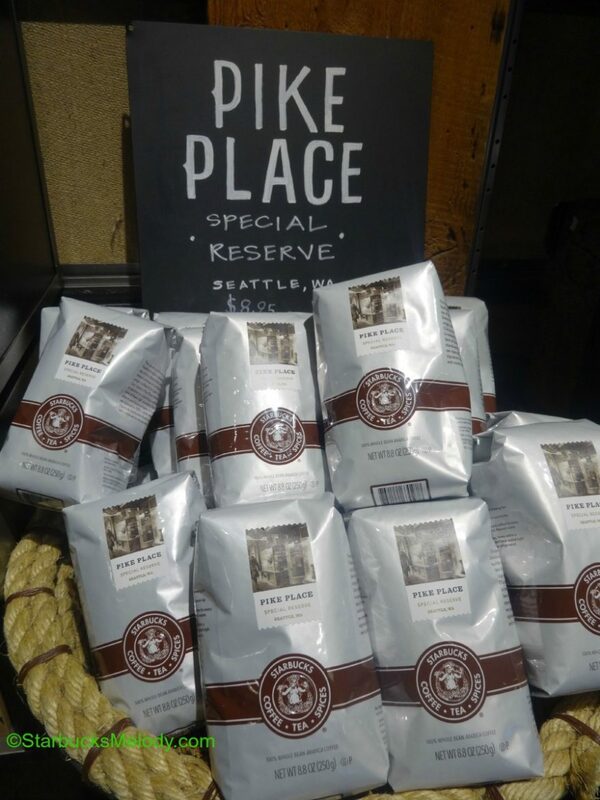 Pike Place Special Reserve is a special coffee reserved exclusively to the Pike Place Market. 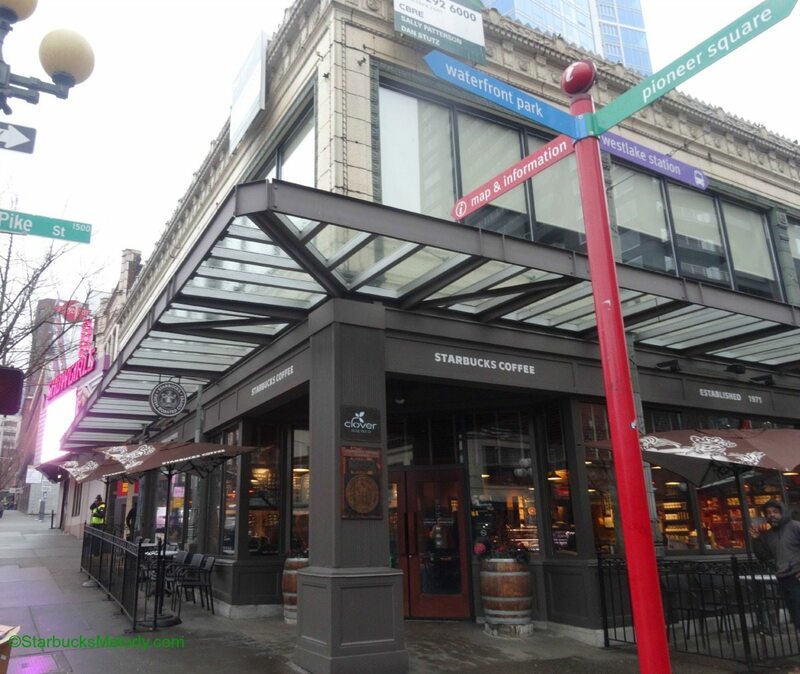 There are two Starbucks in Seattle that sell this coffee: 1912 Pike Place and the First and Pike Starbucks. This is not the same coffee as Pike Place Roast. 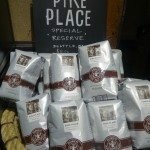 Pike Place Special Reserve is a dark roast Latin American blend of three coffees and pairs with brown sugar flavors, nuts, cinnamon, and chocolate. Partners at the Market can earn a special Pike Place Market Pig pin for their aprons. 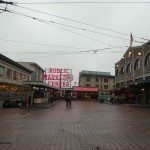 If you see partners wearing the hard-to-get Pike Place Market pin, it means that they know the components of Pike Place Special Reserve and why each coffee was selected and how it relates to the Market. 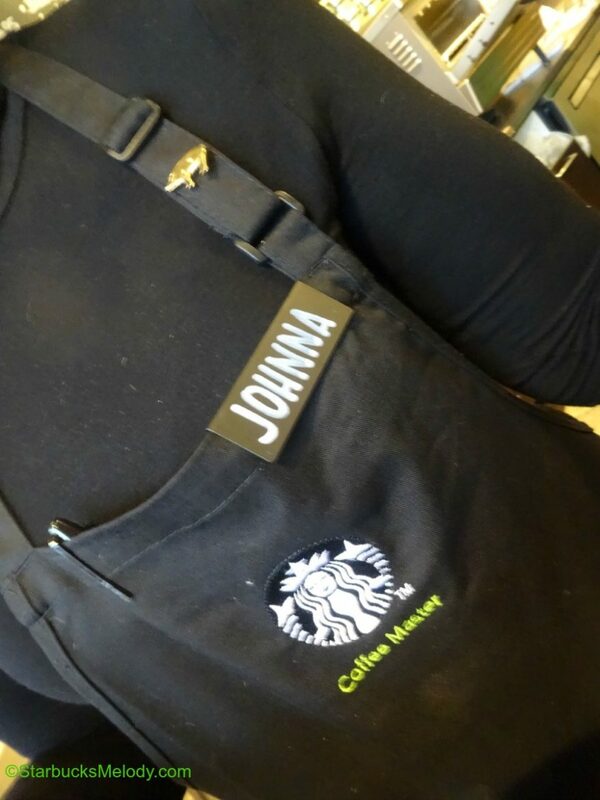 And to get the Rachel the Pig apron pin, partners have to do a special coffee tasting with their district manager. 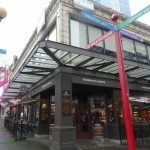 (In addition, I’ve heard that they have to have worked at least one shift at either First and Pike or the 1912 Pike Place Starbucks.) 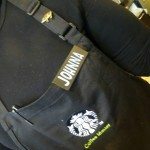 You can see the pin on Johnna’s black apron. I know I’d want one of those if I were a partner! Rachel the Pig is part of the iconic symbols of the Market. I dropped by the Starbucks at Republican and Broadway today. 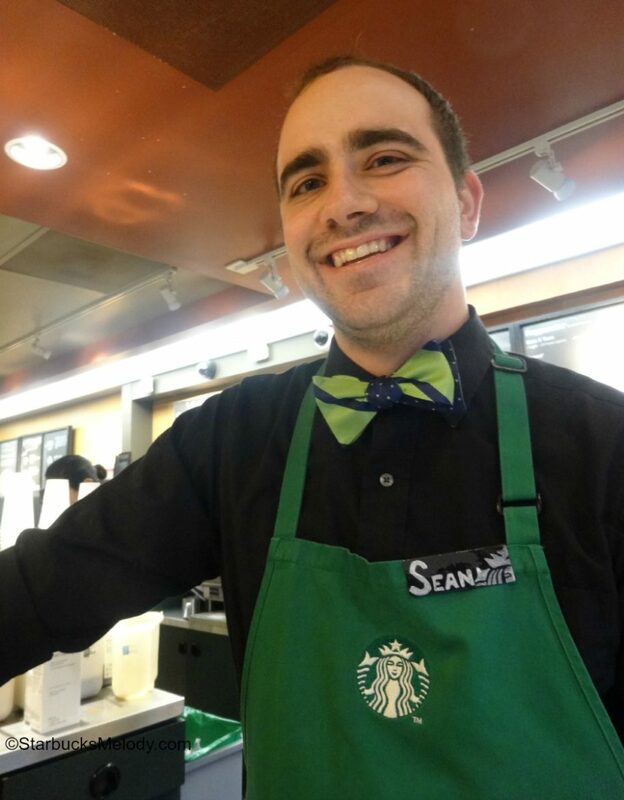 I ran into a great partner – Sean – who was wearing a Seahawks-inspired bow tie! I definitely think a bow tie can look great! Thank you Sean for being game to show of your bow tie on the blog. You look great! 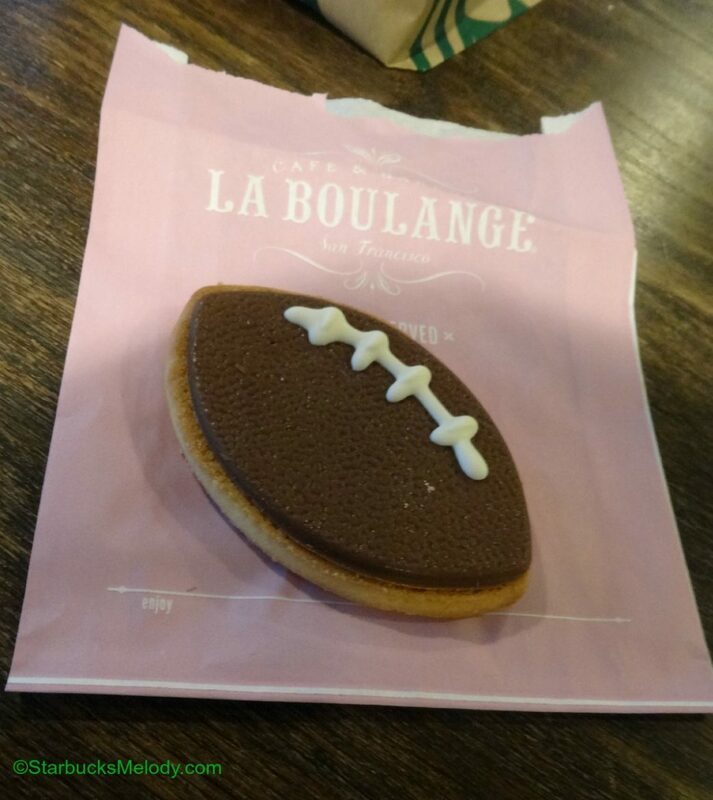 And Starbucks’ enthusiasm for football will now come in the form of a La Boulange cookie! Starting January 13, 2015, you’ll find football cookies at Starbucks! That’s it for this roundup! Please feel to weigh in on these topics or anything Starbucks related. I am especially looking forward to your reviews of the Flat White. Winter's Journey to Visit Every Starbucks Nears 12,000 Stores. I ordered the flat white last week but I didn’t really enjoy it. I was too strong for my taste. Given some of the online commentary and in-store barista chatter, I think I’ll wait a few weeks until they have a chance to master the flat white’s preparation. By the by, I first heard of this drink several months ago when streaming Top of the Lake and was quite interested. We have had the football cookie here for a few days now. I also remember from some posts a while ago that people were encouraging SB to support other teams in their areas. (although the teams in my area are not doing well!) with tumblers, etc. I guess it is only in Seattle! I tried the flat white yesterday and it was amazing! My favorite drink at Starbucks was the decaf cappuccino but now it is the flat white. The flat white really does have a more velvety mouthfeel and the espresso flavor is stronger (due to less milk). I can’t wait to go back and have it again! 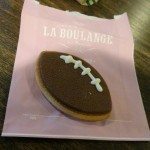 I noticed the football cookies here in Indianapolis last weekend too but haven’t tried one yet. I did order a tall flat white and after adding a bit of Classic syrup, really enjoyed it. I had to remove the lid from my cup to check out the foam art. Not a dot and just kind of a messy line. Hopefully they’ll work on that since it’s kind of special to that drink. 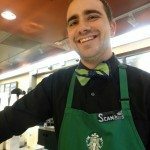 I too would love to see Starbucks support teams in other areas. I get the hometown love thing but this is an International company that we’ve all helped grow to where it is today. So maybe it’s time for Starbucks to support teams on the outside of Seattle. It really kind of makes me cringe a little when I see them putting out cups and tumblers, etc for only Seattle teams. I wanted to comment on the Casi Cielo being used as espresso shots for the Flat White. I don’t think that’s for everywhere. Definitely not here. They aren’t even brewing it. Komodo Dragon, & Pike were the only ones available last weekend. @Becky E – Oh you’re right that right now it’s only regional – But I believe that the plan is that eventually every Starbucks will have a second shot option. @Shayne – Oh my!! It’s a very small Starbucks world!! As I chatted with Johnna , she mentioned she started her career in Hawaii! She is awesome! I can’t wait to try the Flat White. I prefer a capp and always ask for lots of foam on my macchiato, but it’s very inconsistent. I’m excited to try this drink! I’ve had a couple of flat whites, always adding sugar. It does remind me a lot of Cuban coffee! How many shots are in the short? If it is two that would definitely be too strong for me, and I will stick to talls. Next time I will ask for classic or vanilla. 2-3 pumps? The flat white is made with ristretto shots, and has an extra shot. They definitely have a stronger flavour. The smaller sizes are definitely easier to make correctly. The other thing I’ve noticed is that if someone requests different milk they are harder to make, lactose free milk is really hard, some practice is required with that, I think. I love the flat white! It seems to be selling decently at my location. Can’t wait for the new things coming out next month! Tiramisu latte, caramel flan latte, double-smoked bacon and cheddar breakfast sandwich, Sulawesi, and coconut milk. Nervous to see if my allergy is that bad to work around it. The flat white really does work best as a short or tall. I can’t even imagine it being a grande or bigger or customising it with flavour! What I have loved about the Flat White in my store is that it is helping my partners focus on the quality of their milk/foam. It’s helped intrinsically motivate them, as opposed to me coaching, course correcting, teaching etc. Now it’s almost as if a partner is competing against himself to see if this drink will be better than the last. And I’m loving the pride I’m hearing in their voices as they show off their latte art. And sooo many of them are so much better than me, lol – my hearts still look like butts, or maybe a weird pac-man like shape. Plus, the flat white is delicious. Long live the short flat white. It’s my new go-to beverage. I’ve ordered a flat white on four different occasions at two different locations. Always a tall, with no sweetener or flavorings, just the default. None have been made right. What I am getting is just an espresso with a massive amount of hard foam on top. All they need to do is refer to the image in the ad behind them to see that isn’t right. The Flat White is amazing. I don’t add anything to it and usually get a tall. I love the taste of coffee though and don’t mind drinking it without extra sugar. The only problem I have is the inconsistency I have with getting what I ordered. I often get a cappuccino instead of a flat white. It’s not too much of a big deal since if the flat white still didn’t exist in the US, I’d probably have ordered a wet cappuccino anyhow but it’s still a disappointment. There are three Starbucks that I frequent in my area. One has never made the flat white correctly after the first couple days. I’ve ordered a flat white five+ times from that location in the past couple weeks and I’ve yet to get anything that didn’t have a thick layer of foam on top. They got it right the first few days and ever since around the 10th…it’s gone down hill… I guess they’re too busy and/or lazy to make the drink properly? Surprisingly(at least it was a surprise to me), the Starbucks inside my local Safeway is the only one who makes it right 95% of the time. 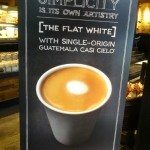 I have tried the flat white several times in a few different locations, I’m still searching for it to be crafted correctly! Where in the Seattle/Everett area can I find that!? !